Tallahassee Pastor Brant Copeland (center, podium) in prayer at Bethel Baptist Chruch. Tallahassee Pastor Teryl Todd of Evangel Assembly believes the recent spate of attacks against religious institutions like churches, mosques and synagogues is part of a larger problem, what he sees as a lack of faith. According to media reports, the 21-year-old gunman in the Emanuel church shooting says he wanted to start a race war. More than a dozen Tallahassee clergymen and women came together Friday in a show of unity and support, and Bethel Baptist Church Pastor R.B. Holmes says the act has brought more unity than division. Tallahassee pastors show support for victims of the Emanuel African Methodist Episcopal Church shooting in Charleston, S.C.
“There is a God and he loves us through his son, Jesus Christ. And we respect all religions. 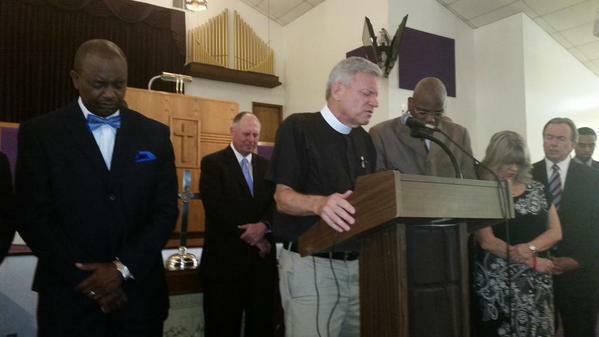 And this movement needs all the faiths to come together and say, we can win this spiritual warfare," Holmes said. Holmes says he knew one of the victims, Emanuel African Methodist Episcopal Church’s pastor, and South Carolina Senator, Clementa Pinckney. Holmes says he met Pinckney about five years ago while speaking at an AME conference. "I met him and embraced him, and what a tremendous young man, 41-years-old, [he]was a great leader. [He was] a man that believed in family, believed in prayer and as you know, he pastored one of the greatest churches in this country." Holmes said. "To lose him and eight members from age 26 to 87-- is a tragedy." 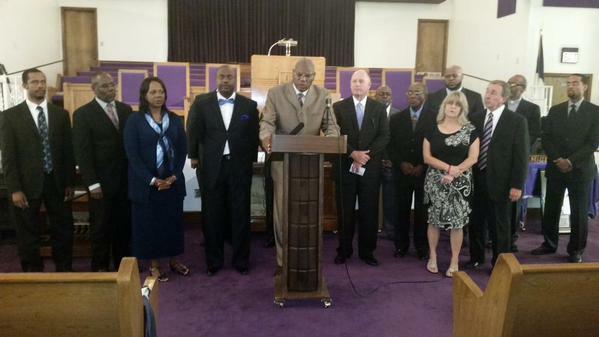 Local pastors are calling for prayer this Sunday, Father’s Day to remember the victims. The federal government is investigating the shooting as a hate crime. The pastors are also planning a neighborhood church service on Dunn Street later in the month to call attention to gun violence in Tallahassee. 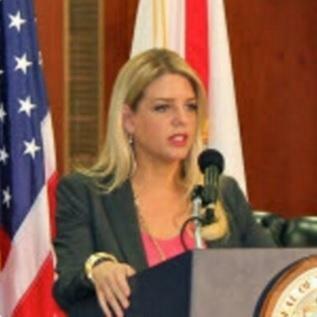 Florida Attorney General Pam Bondi is weighing in on Wednesday's deadly church shooting in South Carolina.